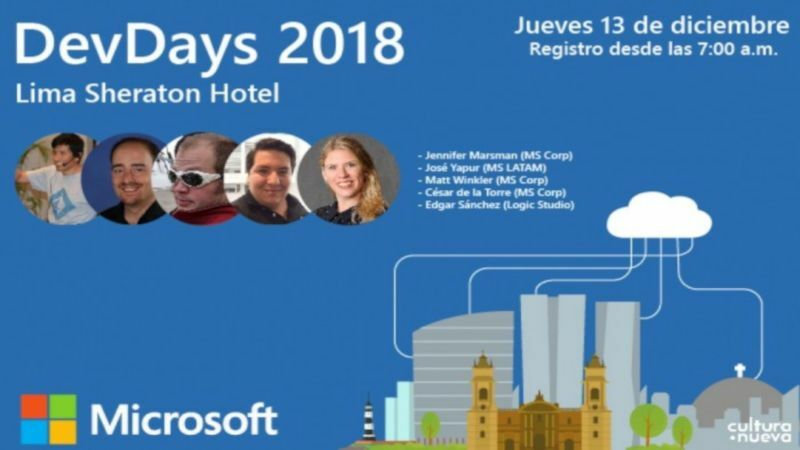 Jennifer Marsman who is a Principal Software Development Engineer in Microsoft’s Developer Experience group, where she educates developers on Microsoft’s new technologies with a focus on data science, machine learning, and artificial intelligence. In this role, Jennifer is a frequent speaker at software development conferences around the world. Cesar de la Torre, Principal Program Manager at Microsoft in the .NET product team, focusing on .NET, Azure and the Microsoft development platform. He is a specialist in .NET Application Architecture and technologies such as .NET Core, Azure end-to-end and enterprise solutions based on microservices, Docker containers, ASP.NET Core, Kubernetes (AKS), Azure Service Fabric, App Service and cross-platform development as well as ML.NET as part of the Machine Learning. Matt Winkler who is the Group Engineering Manager for the Azure Customer Advisory Team managing Microsoft´s global CAT teams for Data, Edge, Management, and Security. He is a specialist in crafting tools and services for machine learning and data science in the cloud. Jose Yapur, a Cloud Solution Archtitect at Microsoft LATAM with experience in the management, implementation and development of IT projects.